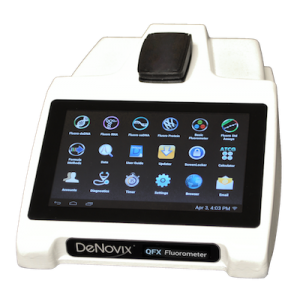 "DeNovix DS-11 and DS-11+ Spectrophotometer and Fluorometer"
Trade-in any existing UV/Vis spectrophotometer in your lab and receive a discount on a DS-11-FX or DS-11-FX+. 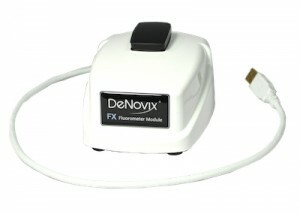 DS-11 FX Series of Spectrophotometer / Fluorometers combine UV-Vis absorbance and fluorescence methods in one compact instrument. 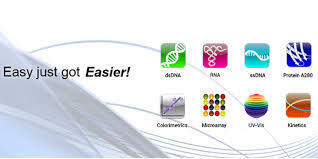 Rapidly quantify seven orders of magnitude of nucleic acids and protein samples utilizing your choice of UV-Vis or Fluorescent modes. Easy to learn. Fast to use. 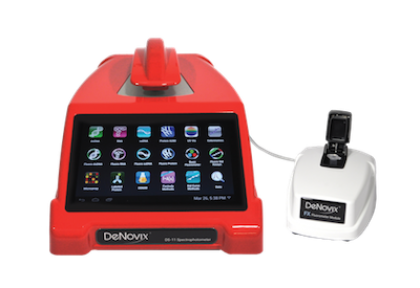 DS-11 FX Series instruments include intuitive, pre-installed DeNovix EasyApps® and a breakthrough AndroidTM touchscreen interface. 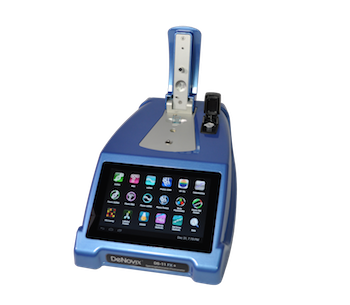 Every instrument is ready for absorbance and fluorescence measurements right out of the box – no PC set-up or software installation. Microvolume Mode: Always Calibrated. Be confident in 1µL results, even for difficult to measure samples like protein, thanks to SmartPath® Technology. 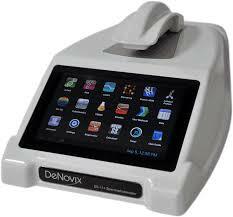 Our patent pending design controls the pathlength in real-time while compressing the sample during analysis. 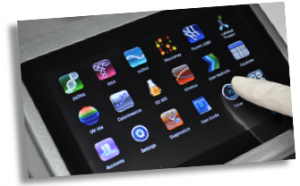 SmartPath® ensures the DS-11 FX is always in calibration – no drift and no service down-time.